It may be in the mid to high 80s, but my weather app show 74 coming in the not-too-distant future. That, coupled with already cooler evenings, and my birthday being over (thanks for all the wishes! ), can only mean one thing: it’s now officially fall! It’s no secret that fall is my favorite season. The colors, the breeze, the jeans, the candles, the football, the chili, the pumpkin patches, the overall cozy vibe… all of it just lights me up! So in celebration of this new season, I wanted to share some of my fall favorites with you! And I do like how colorful accents pop against a more neutral background, like this pop of red. source –> worth clicking to see more- so pretty! 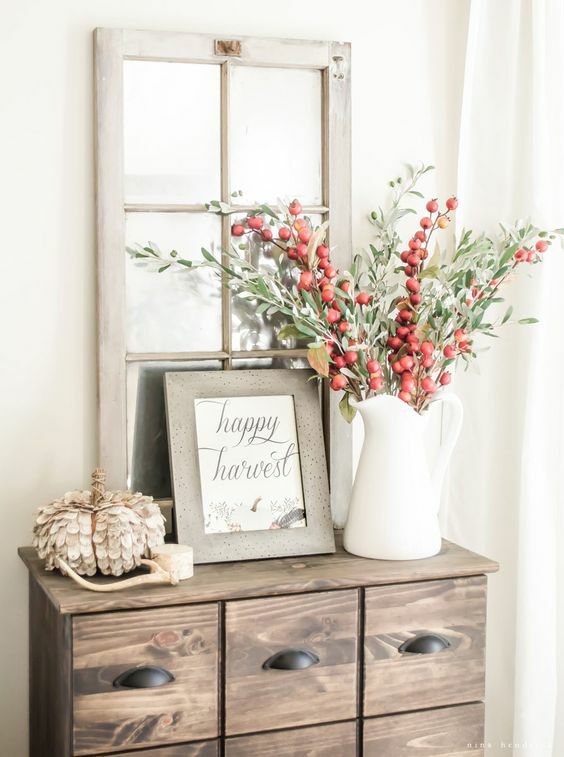 I am really not trying to spend much on fall decor though because I have a feeling I’m going to go all out on Christmas, since we are hosting family this year. So for now, I’ve snagged a thing or two at Hobby Lobby and off of Facebook’s market place (which has been my new go-to to buy and sell locally). One thing I do enjoy with reckless abandon though is a good candle. Julie wrote a wonderful post a while ago about small indulgences equaling big joy, and she and I are alike in that candles are on that list. I have one lit most of the time when I’m at home and we always have one lit as we get started with our school day. It creates such a cozy atmosphere. Bath and Body Works had their three wicks on sale this week ($10 off + a 20% off coupon that I got in the mail), but I’m always looking for new favorites, so please share your fall candle favorites with me! I find that a lot of Bath and Body Works candles are too strongly and artificially scented for me, but I do enjoy their Leaves and Autumn varieties. I’ve also heard great reviews about this one. Has anyone tried it? My parents are coming to visit this weekend and I’m keeping the food rather summer-focused with grilling and salads. However, I’m looking forward to all the delicious fall food once the temperature drops. 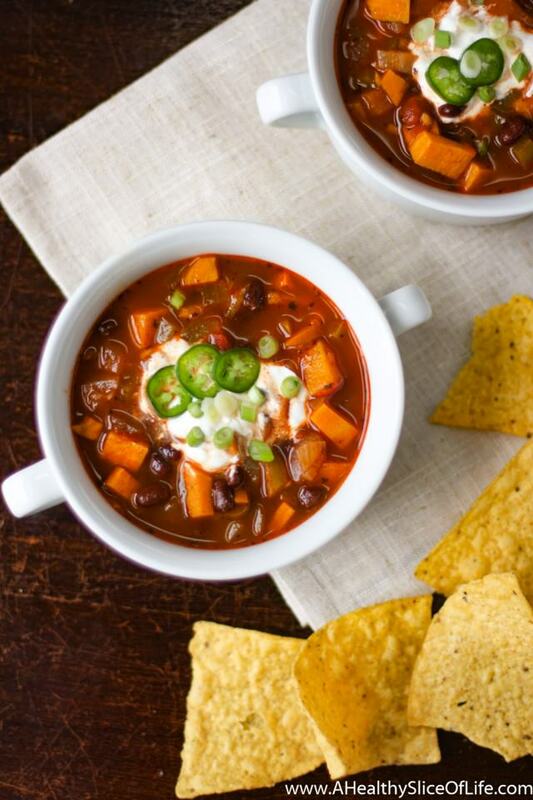 Some of my favorites include this Sweet Potato and Black Bean Chili. 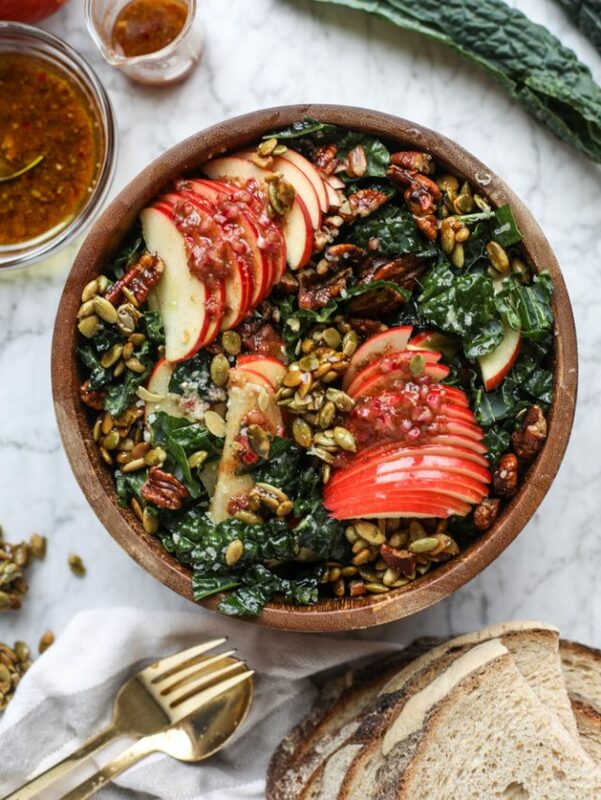 I’m looking forward to David making some of his Famous Chili as well and trying a few new-to-me dishes like this Slow Cooker Honey Garlic Chicken and this Nutty Harvest Honeycrisp Kale Salad. Isn’t it gorgeous? Jessica is a magician in the kitchen! I’m giving these Baked Garlic Parmesan Potato Wedges a go this weekend and the girls and I are baking an apple pie (from our apple unit!) this morning, though I imagine we’ll be baking up some Pumpkin Spice Blondies soon too. Oh, and I’m totally making these pretzel ghosts in October. I mean come on…! Fashion may be a strongly worded term for me, but as for what I’m looking forward to wearing? This cardigan is high on the list! I snagged it during the anniversary sale because all the fashion bloggers told me to and it is the softest, coziest thing I’ve ever put on my body. Close up it slightly resembles a robe, but I foresee myself wearing holes through it with as often as I’m planning to wear it once the temperature drops. I bought my favorite heels (below) in black in preparation for fall and winter dresses (and jeans). They’re so comfortable, thanks to the block heel, and the ankle strap makes them easy to walk in if you’re looking for a go-to pair. I’m looking to add a neutral scarf to my closet, tassel earrings that aren’t heavy, and a simple bar necklace and Y necklace too. Can you see that I like to buy a single item that works for almost any outfit? Ha. I’m not much into accessorizing, so I like to buy one nice thing and wear it with everything instead. Plus, I love how Megan wore these necklaces in tandem! Finally, this dress. I might buy it in both colors because I think it’s casual enough for weekday wear, but could also be dressed up. The sleeves make it appear “in style” but it’s simple enough for my taste. Love it! I have a little jingle in my pocket in the form of birthday money and I think I’m going to put it to use in this category. What lights you up in the fall? Have you read any good, thought-provoking posts lately? We honestly don’t have much of a Fall in terms of weather in Texas, but I love the season anyway because I love pumpkin and college football! 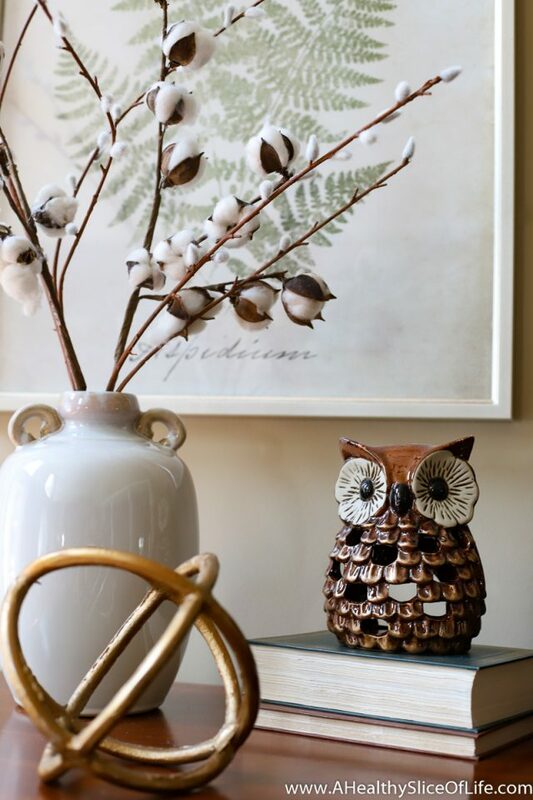 I don’t have that exact anthropologie candle, but I have a couple from that same brand and they are my favorite. Happy Friday! I loved those reads you found! Thanks for sharing. 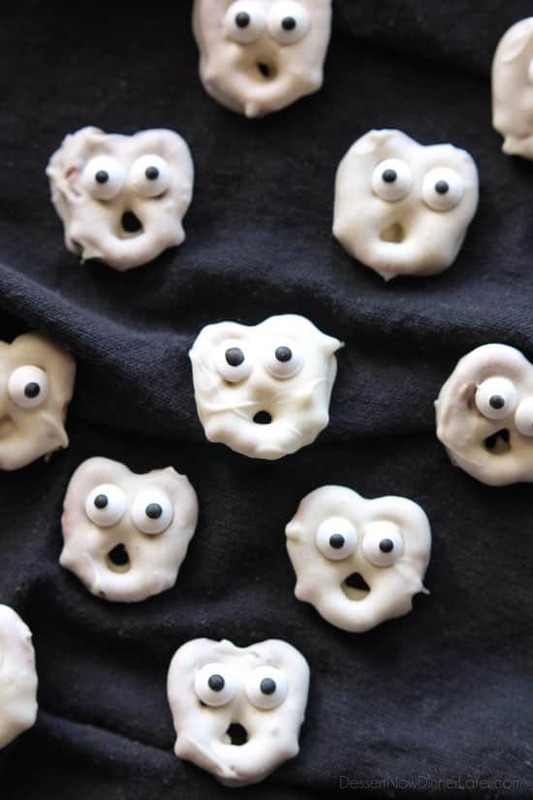 Okay, those pretzel ghosts are too cute! My son will love making those! I’m really looking forward to Fall! I’ve been enjoying Target brand Pumpkin Spice coffee for a few weeks already now which has definitely gotten me in the Fall mood. And we made chili 2 weekends ago on football Sunday and dressed everyone in the family up in our Eagles gear (for my husband). My two year old is very unimpressed by television but perhaps he will watch a little football this year. One of my favorite sites lately is https://www.becomingminimalist.com/. Currently the post is on packing lightly, which doesn’t really apply to anyone with a baby and toddler, I think! But in general I find the site very nice and thought provoking. Those pumpkin spice blondies look delicious! Have you seen the viral post about the lady getting upset over seeing cotton in Hobby Lobby? When I saw cotton in your picture I laughed out loud! I love your decor!! I wish it would get cool in Houston! Aside from a random heat advisory today, we finally have lovely fall weather! 60’s here we come! I think I’m ready… I’m actually really looking forward to decorating for Halloween and heading to the pumpkin patch and drinking all of the apple cider and snuggling up with sweaters and blankets and hot drinks. I recently purchased the “But First, Coffee” scented candle from Bath&Body Works, and I adore it! I feel like I am in a little coffee shop as I sip my beloved coffee every morning. It is fabulous! 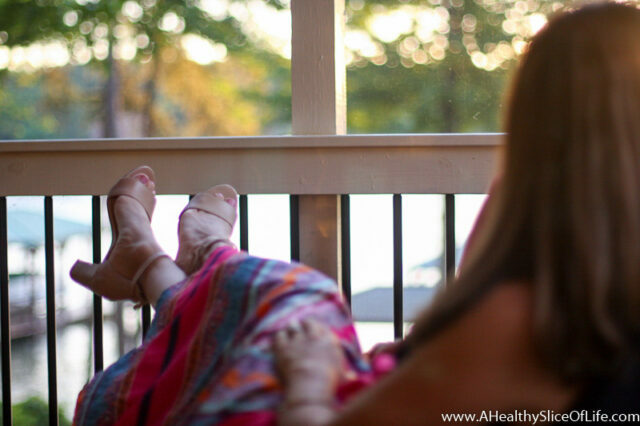 Nadia recently posted..Shopping Therapy at its Finest: T.J. Maxx, Target, and Amazon – Oh My! I love this post! It’s getting me excited about fall: making chili and that delicious-looking salad, Halloween and planting my fall annuals! I hope you had a great birthday! Miss you! I miss you too! We really have to find a time to see each other because I really need to meet your sweet Andrew! Have you heard of Burlap Bag candles? They’re awesome and make great gifts because of the fun names! 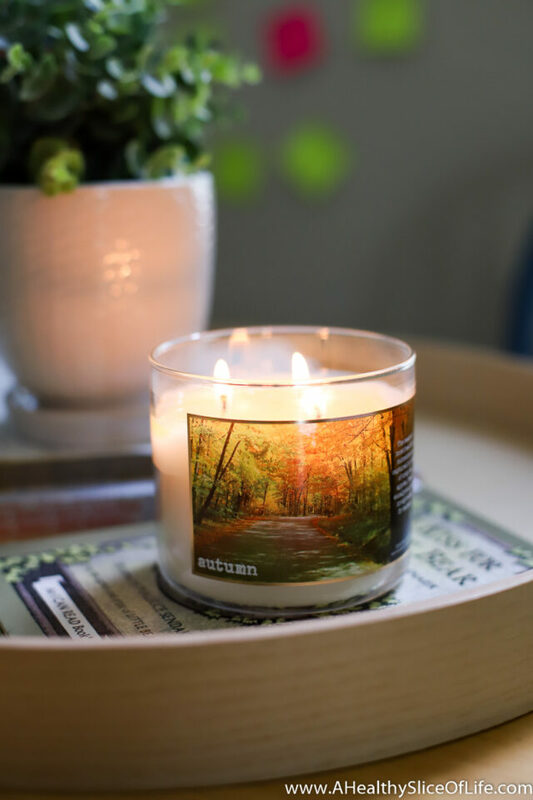 I Love Leaves and Pumpkin Pecan Waffle candles from Bath and Body!! Fall is my favorite, too. Pumpkins, apples, crisp air. I know you probably avoid making political statements, but after reading that you shopped at Hobby Lobby, I urge you to research the ethics of Hobby Lobby before you shop there again (I’m not speaking of the controversial cotton, btw). 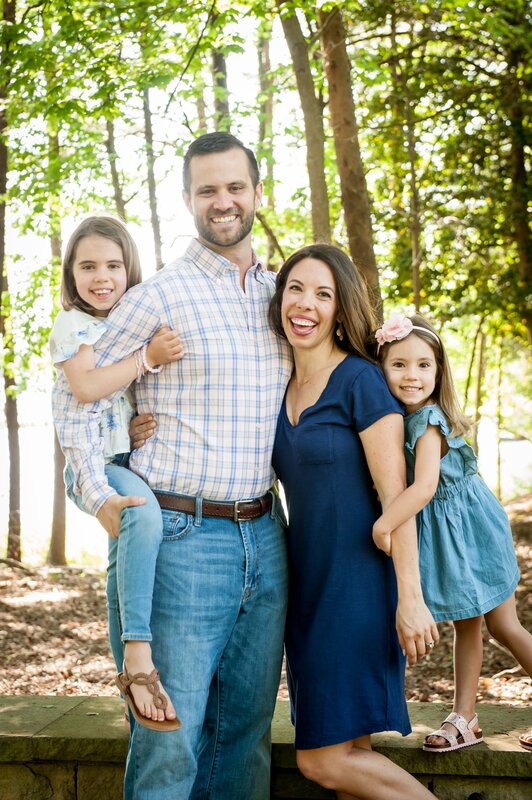 Especially as a mother of 2 girls, their refusal to support female reproductive health for their employees is shocking along with their anti gay statements and unethical acquisition of relics for their bible museum. It’s such an important time to shop with our dollars.